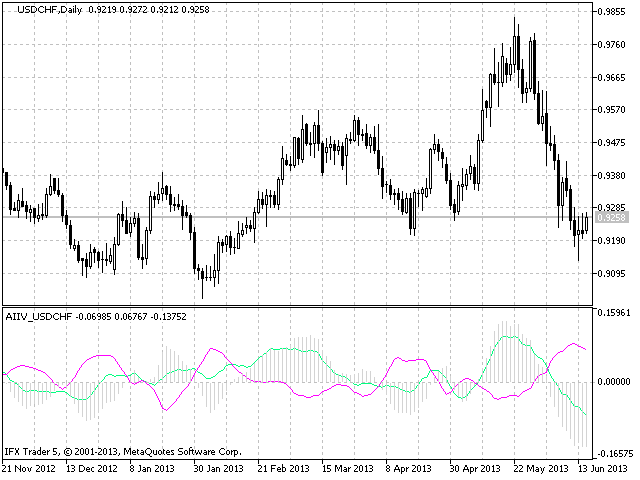 The intensity and the direction of the movement of CHF. 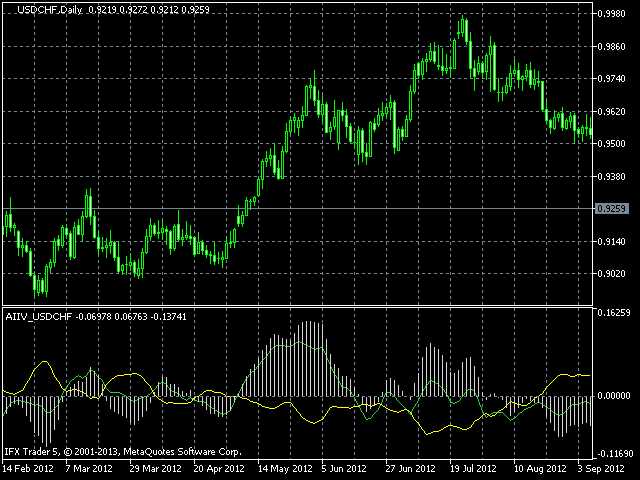 The inflection value of USDCHF. 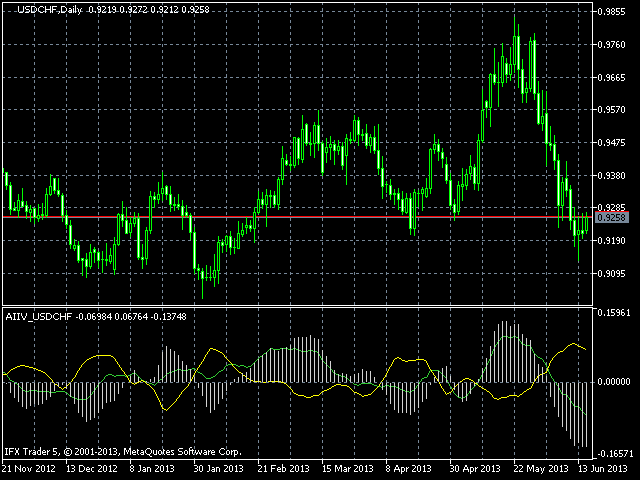 AIIV is a series of indicators of inflection values that covers all popular currency pairs. 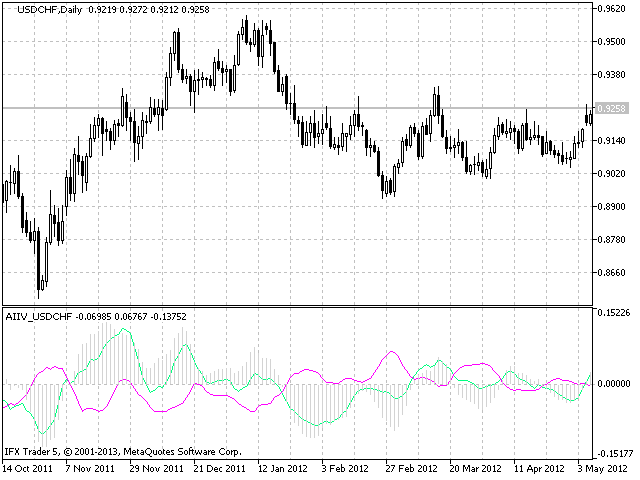 You can find all the indicators in my products. They include two free versions AIIV USD and AIIV EUR as well as paid version for most popular pairs: AIIV EURUSD, AIIV GBPUSD, AIIV USDJPY, etc. 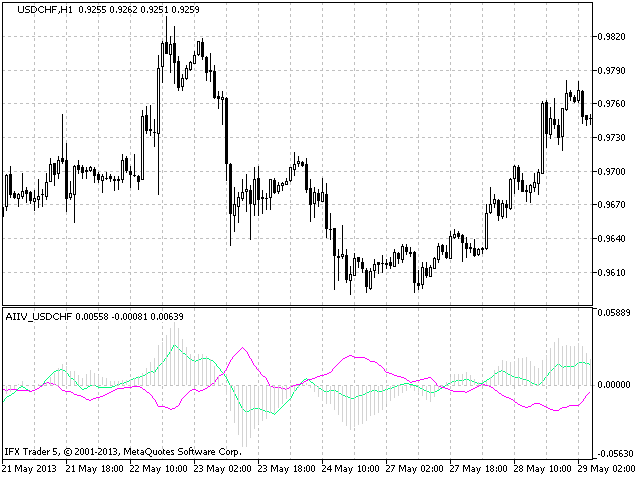 The indicator works correctly on condition that the data for the following instruments is available: USDCHF, EURUSD, GBPUSD, USDJPY, USDCAD, AUDUSD, NZDUSD, GBPCHF, CHFJPY, EURCHF, AUDCHF, NZDCHF, CADCHF. The indicator draws two lines and one histogram. 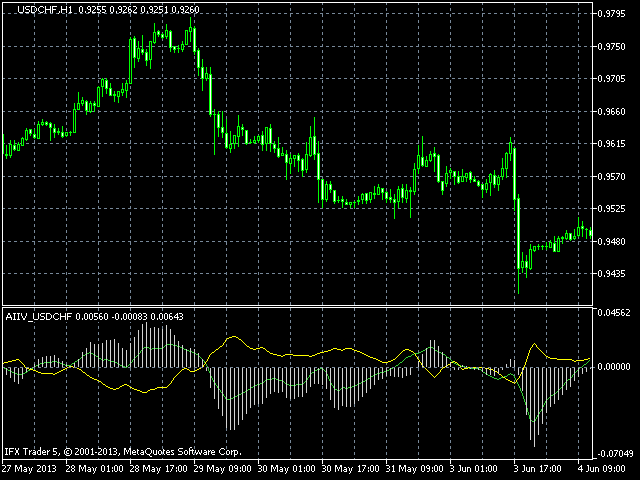 On default, the green line displays the direction and intensity of the movement of USD, and the yellow line - CHF. The histogram shows the total movement of the whole pair. If it starts to fall or grow, then the pair changes the direction of movement.